but am hoping someone here has tried them before? Seriously, I own a pair of Keen men's and have worn them fishing for the last year. I had a small blowout stuck in mud and one of the straps came out of the sole. I just super glued it back and haven't had any other issues. Good comfortable shoe. Just make sure to wear socks or use sun lotion if out in the sun kayaking as you get burned in the open areas. I know from experience. I am in the same boat. I'm looking for a yak boot. Ones you can swim in. 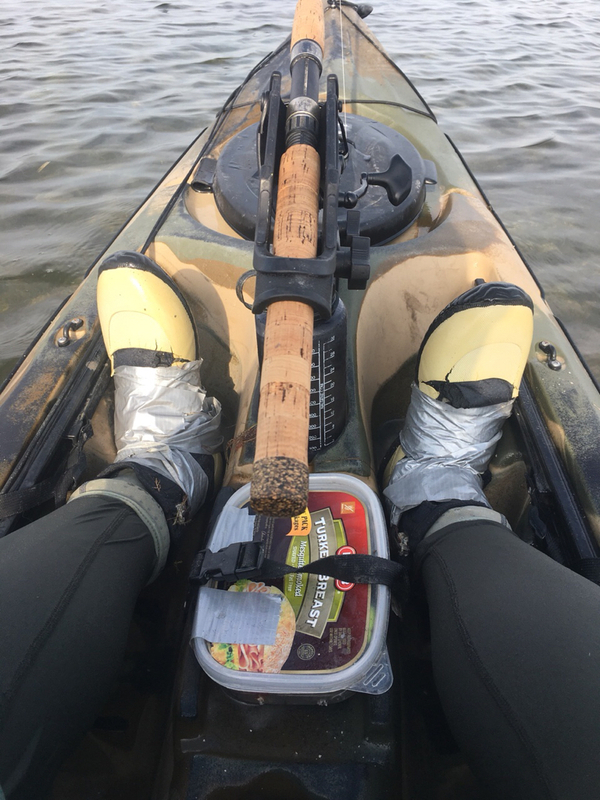 By the way I have those same wading boots..too heavy for just staying in your yak. I also want something that covers my ankles. I have a pair of Columbia's overpriced slip on water shoe. My ankles get burned. I don't like sunscreen while I'm fishing. for the coast you want none of the shoes on the review. Wading in salt, you need high-tops to keep mud and sand from collecting around your feet. Sand in your shoes will skin the soles from the bottom of your feet. 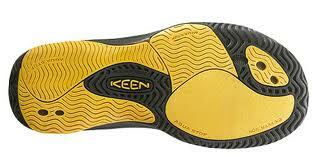 My favorite Keen Hood River boots are long discontinued, but I still have a functioning pair. I back those up with 5Ten Water Tennies. Note with the Water Tennies, you still need lycra scuba socks to keep sand and mud out of your shoes. But it looks like these have been discontinued, also. Some people like zip-up neoprene booties, but I hate them because they don't drain, nor do they provide arch support. I've been wearing Columbia Drainmaker III shoes and like them. I just ordered a new pair of Drainmaker IV shoes, on sale for $54.90 at the Columbia web site. Bro dont be hating on my duct tape boots they stay on....lol. If you’re in the mud, shell, reef or along the coast skin protection is rule #1. If you go down in crotch deep mud, you want to keep the nasty off. I also wear socks, the thicker the better. OK, I’m going to be the odd man out here. I have used these in the Bahamas, the Florida Keys and here in the gulf. What I like about them is I can basically “layer” what I wear depending on the climate. My shoe choice has been a good ‘ol pair of Converse All Stars! The soles are skiff friendly and in the tropics I wear them alone. Here for protection I wear a light pair of NRS socks underneath and a light neoprene gravel guard over the top to keep crud out. The soles have held up remarkably well to oyster shells. And if you shop around the price can’t be beat! osochuck wrote: Bro dont be hating on my duct tape boots they stay on....lol. If you’re in the mud, shell, reef or along the coast skin protection is rule #1. If you go down in crotch deep mud, you want to keep the nasty off. I also wear socks, the thicker the better. hey, I don't hate them for you, I only hate them for me. I hate soles that don't drain and/or don't provide arch support. Only thing that compares to arch pain is carrying around the day's muck in my boots. With zip-up neoprene booties, most require removing and pouring them out when you get back in the boat. Draining soles is such a simple idea, but only shows up in a few water shoe designs. I wear cheap, Wally World water shoes. They last less than a year. The soles aren't very good and the "skid" on the bottom is terrible! Last week, I was on a slimy boat ramp, and my feet went sky-high, and I came down on my shoulder(the one with rotator-cuff issuesalready) and my ribs. I was lucky my head didn't hit first. Prolly would have busted the concrete. I have been thinking about scuba dive booties for yakking. Akona makes a pair that drain. But, almost all dive booties are black! They would be HOT here on the coast. Maybe low-cut booties and lots of sun-screen? JW FunGuy wrote: OK, I’m going to be the odd man out here. I have used these in the Bahamas, the Florida Keys and here in the gulf. What I like about them is I can basically “layer” what I wear depending on the climate. My shoe choice has been a good ‘ol pair of Converse All Stars! The soles are skiff friendly and in the tropics I wear them alone. Here for protection I wear a light pair of NRS socks underneath and a light neoprene gravel guard over the top to keep crud out. The soles have held up remarkably well to oyster shells. And if you shop around the price can’t be beat! I decided to look into you idea...I bought a pair of Chuck Taylor's last night. 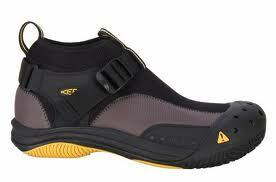 I've used the Foreverlast Reef and Ray Boots for YEARS! I've blown out a couple pair... But I am ok with that... They typically last about a year, maybe more (the last pair purchased has lasted linger than previous, maybe 2 years)... My feet are like my Eyeballs.... I need them EVERY DAY... and when I am kayak fishing, I often get OUT of my kayak and stand on shell reefs... or... crab walk while in the kayak... So any type of SHOES are out of the question. I’ve worn a pair of Magellan High top water shoes for about 7 years and no problem. I have been Kayak shoe shopping for about a year. I am not talking about wading boots. I wanted a pair of shoes/boots that are light, comfortable, easy to swim in and very important...something that will protect my ankles from the sun ( I don't like sunscreen on my kayak). I believe I have found the answer. I bought a pair, have been out with them twice now. Good ole Chuck Taylor's high top. I know they'll continue to do me well. p.s. This last week, Dave Ferrell featured them on the TV show Texas Insider Fishing Report. Looks like they are good for wading also. Cheers for the recommendation, Brucell. 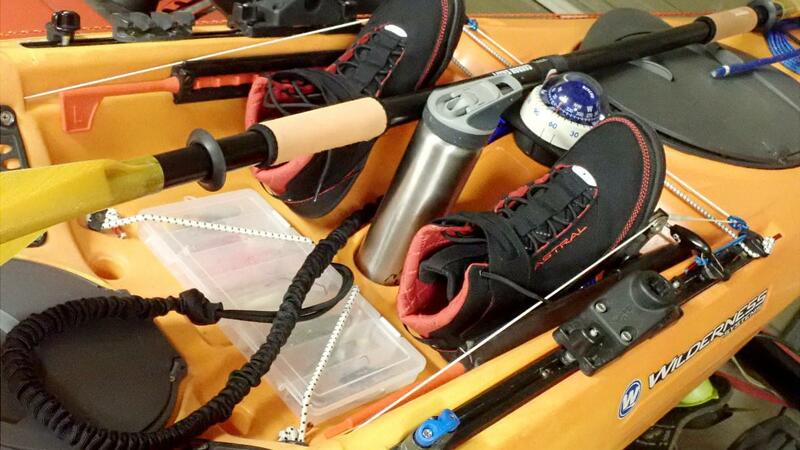 I also want high top shoes for kayaking and if they're good for wading too, even better. Wanted to chime in, I just bought a pair of soft science boots with the zipper. I wear a size 10.5 wide. I bought the size 11 and they actually seem to be pretty well. there is a slight snugness in the ball of the foot but it's not bad at all, I wouldn't call it tight. I've not worn it in the water yet but will report back once I do. Chubs wrote: Wanted to chime in, I just bought a pair of soft science boots with the zipper. I wear a size 10.5 wide. I bought the size 11 and they actually seem to be pretty well. there is a slight snugness in the ball of the foot but it's not bad at all, I wouldn't call it tight. I have tried the Soft Science as well. I really like the concept, I just couldn't get any of them to fit right. I have a very wide foot...I also didn't like the zipper on the outside. I would have like to see them put it om the front or on a diagonal. Anyway I really like the design. I started with sandals. No protection at all. No grip at all. Then I went to water shoes or aqua socks, w/e they are called. Those things have no grip. I've slipped and fallen several times while wearing water shoes and trying to drag my kayak through slippery mud/sand. Then I went to Crocs. Crocs solved the slip and grip issue, but lack protection like sandals. Crocs are too holey. Lets in too many rocks and pebbles. This can be remedied by wearing no show quick dry socks. The sock fabric stuffs the holes and keeps out 90% of grit, but that 10% will bug the hell out of you. And finally I am currently using Columbia Drainmakers with no show quick dry socks and I think my quest may have ended. No pebbles in my shoes and no slipping. to me, low-tops and mud just don't work - if you ever plan on getting out of the boat (coast). There are a lot of good options for low-tops. My last pair of Hood River Boots finally gave up on our Oct Estes flats trip (and I'm tired of repairing them). Wore my 5Ten water tennies (high top) with lycra scuba socks last two trips and like them well enough, except they don't have really good arch support for a lot of standing or hiking. Super-sticky on wet surfaces. Astral Hiyak - narrow footprint to fit in footwell, sticky, drains at heel and toe. They're also on sale for 25% off at a few places, though available sizes are kind of random. Last edited by Ron Mc on Mon Nov 26, 2018 12:47 pm, edited 1 time in total. I've worn the the Salomon Crossamphibian Swift these past two seasons and really like them. I mainly bought them for wade fishing hill country rivers where I wanted a combo hiking/water shoe. I also wear then down at the coast (Rockport/Corpus Area) in my kayak and when wade fishing. These are light weight, have good arch support, lugged for good grip on muddy banks, razor siping for gripping wet rocks, and a neoprene collar/tongue which does a decent job keeping sand and small shells out of the foot bed. They run a little small and narrow so I sized up one size. Thank you for the awesome review on the Astral Men's Hiyak Booties, We are so happy to hear that you love them, and we genuinely appreciate your thorough feedback. I thought it was very detailed and informative. And those photos you attached were pretty cool, too! I am reaching out to let you know that you wrote the best review of December 2018 - which means you have won a $250 Moosejaw e-Gift Card! Congratulations! You can spend it online or in our shops. Below is your Gift Card information. Please let me know if you have any problems using it. I hope you are having the best weekend ever and Happy New Year! Last edited by Ron Mc on Mon Jan 28, 2019 9:02 am, edited 1 time in total. I'll definitely start writing some now....wow! Congrats Ron! Walmart must be infusing some money into Moose Jaw since they bought them. I write reviews all the time, good honest reviews. Not just "These are crap, don't buy them" but the things I liked and didn't like and reasons why. I have been doing it a lot with stuff I buy at Home Depot. They sent me a request to answer questions about their products I buy and so I do that too. They then asked if I would join a group of people that manufacturers want people to test their stuff and then send in a review. Every month I get a list of stuff to pick up to 5 items. They then send them to me and I use them and then review. It is stuff I really can use so I like the program. Sending in good reviews does pay off as you can see Ron Mc. And by good I don't mean says the products are good, but honest reviews that give reasons why it is good or bad. I hate when they say its junk, don't buy or works great! OrangeQuest wrote: I write reviews all the time, good honest reviews. Not just "These are crap, don't buy them" but the things I liked and didn't like and reasons why. I have been doing it a lot with stuff I buy at Home Depot. They sent me a request to answer questions about their products I buy and so I do that too. They then asked if I would join a group of people that manufacturers want people to test their stuff and then send in a review. Every month I get a list of stuff to pick up to 5 items. They then send them to me and I use them and then review. It is stuff I really can use so I like the program. Sending in good reviews does pay off as you can see Ron Mc. And by good I don't mean says the products are good, but honest reviews that give reasons why it is good or bad. that's exactly right, because where and how you use something affects both you and the product. For many people, Chaco sandals are all they need in a kayak (even for me in the river or on Boerne City Lake - the ones with the built-in short neoprene socks). I had already singled the Astral shoes out by design, and of course, looking up this thread, you can see it's something I've been mulling over for a dozen years and much longer in and out of quicksand and limestone creeks. btw, I bought those shoes on sale last fall for $75 - yes, turned out to be a good investment. My gift certificate wasn't exactly burning a hole in my pocket, but I spent a big part of it last night. It would buy a nice kayak paddle, but I have two, and really don't need kayak gear in general. Been studying cot tent options on the web the last 2 days, and decided to spring on the thermarest mesh cot in XL, and follow up with the cot tent. Looks like the mesh cot has been discontinued and is being replaced with a lighter design that uses a thermal-reflective fabric - an improved design if you want it in your mountain pack. The 30" XL width isn't offered in the new design, the discontinued mesh cot I'd prefer is OOS most everywhere except Moosejaw. Decided to jump while I could still get this cot. The tent will still be here - it attaches to both cots, but can also work free standing, and at 2lbs is as light as any ultralight shelter made. Either piece packs to 18"x6", making the combo small enough for bike packing or kayak touring (Matagorda Is). I like the idea of the wider, sturdier, over-designed breathing cot for where I'll use it most often - Texas coast - and won't care the cot weights 4 lbs. Likewise, the super-light tent is a bug screen plus rain fly, and I'll probably use it most often as a bug screen. I was still able to use a 20% coupon, and if I find another next month, I'll end up with both cot and tent for $150, which is truly a gift. OrangeQuest, what you're describing is why Cameron Mortensen began his Fiberglass Manifesto blog - it's become a lifestyle of travel, speaking engagements and fishing for him - all with free gear. I sold him his first glass rod, a Heddon Pal Pro Weight 8381 for $45. Nice choice on the cot! I’ve got a Helinox High Cot that I love But they don’t make a canopy for it, I mostly use it in the cap of my truck but you can never have too much bug protection!